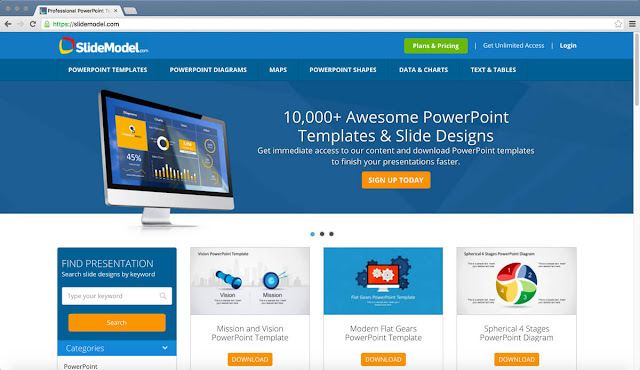 PowerPoint is undoubtedly one of the most used presentation tools in the market. It was originally created by Forethought Inc. under the name Presenter, and then it become part of the suite of Microsoft Office programs. PowerPoint has more than 25 years in the market so far, and even today its popularity is impressive and widely adopted by individuals and companies. SlideModel.com is an online digital resource and provider of professionally-designed PowerPoint presentation templates. The resource provides access to a fast-growing catalog of presentation templates containing a wide range of designs to make better-looking and more professional presentations. Users of SlideModel.com can prepare their presentations in record time, without hassle, much faster than creating the presentation from scratch. How is it possible? By getting access to over 10,000 pre-backed templates and slides with modern designs, members can speed up the presentation design process combining and reusing shapes into their own slides. Then, they can customize the presentation with their own content by editing the text and picture placeholders. Content downloaded from SlideModel, like layouts, graphics, and templates, can be adapted to match the presentation requirements. It is very easy to change colors to adapt the slides to the corporate visual identity or even change the slide format to match the projector or screen (using 4:3 or 16:9 aspect ratio). The website uses a subscription-based model. What does it mean? You’d need to become a member in order to download content from the site. There are different subscription plans & prices. The features vary depending on the plan and presenters’ needs. The current plans are flexible enough to make the service accessible from an individual looking for a single design and subscribing to the One-Day access plan or 3-Months plans, to an Annual Unlimited plan with multi-seats that is more suitable for medium & large businesses with higher presentation needs and requirements. Presentation designers or even agencies can save a lot of valuable time reusing the presentation templates provided by SlideModel.com, and one of the best things is that all the PowerPoint graphics are editable. This is possible because all the templates and provided graphics are created using the built-in PowerPoint shapes. Shapes in PowerPoint can be manipulated to change its colors and properties, making possible to adapt the presentation accordingly to the user needs. The catalog contains thousands of presentation designs, compatible with major versions of Microsoft PowerPoint (2016, 2013, 2010, 2007), Microsoft Office 2011 for Mac as well as Google Slides and Keynote. Under this category, you can find a compound of business presentations to prepare a project plan presentation, weekly plan, pitch deck or annual report (like using the Annual Report PowerPoint template). 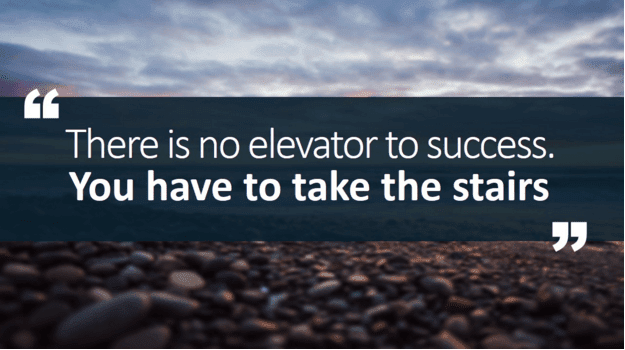 Find slides designs ranging from finance, strategy, planning, marketing and other business topics. PowerPoint Maps can help you to prepare awesome business presentations with geographical data or create slides with markers over the maps. The presentation maps provided by SlideModel are 100% editable as were created with shapes, so you can reuse them to make any kind of presentation requiring world maps or country maps, like presentations showing sales by region or travel presentations showing a trip itinerary using the travel destination PowerPoint template. Using the editable maps, it is very easy to ungroup the world map shapes and customize the slides to highlight any desired region or pinpoint any desired location using pre-designed pins and markers. 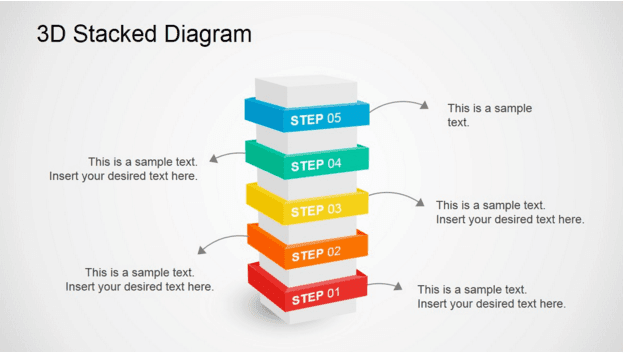 To craft an effective presentation, you can use the visually appealing business diagrams collection available at SlideModel. This category includes a lot of different diagram designs, from simple circular diagrams, multi-step diagrams with any number of steps, process flow diagrams to other complex business diagrams and data-driven charts. Text and tables can also help to frame your data appropriately. Text boxes, matrix, and table designs are uncommon at SlideModel. Aside of the 3D graphics like the picture is shown above, under this category you can find creative concept slides, metaphors and presentation shapes that can be useful to decorate your presentations with catchy graphics and bring a modern style. 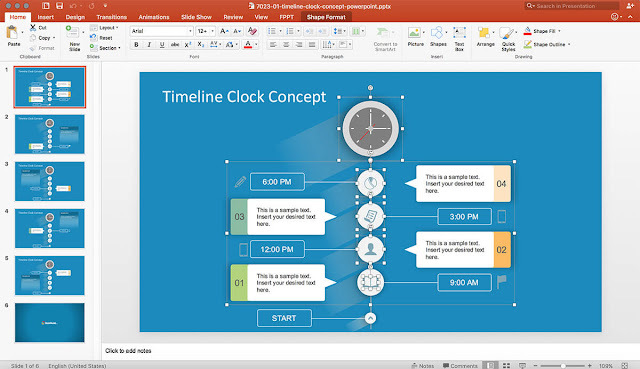 For example, using the Timeline Clock Concept we were able to create a presentation with an original timeline design with descriptive icons that helped to illustrate timeline milestones. Using templates from SlideModel.com can help you to fight Death by PowerPoint and make better-looking presentations. 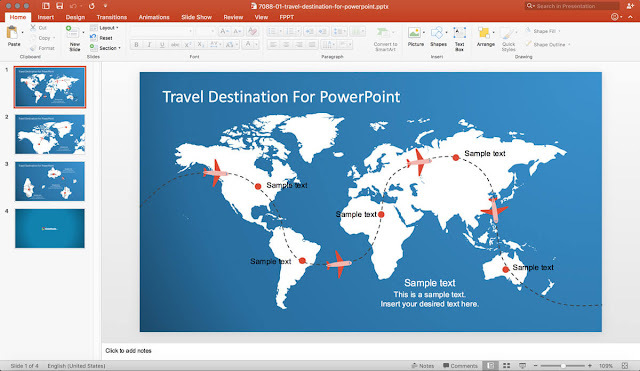 The final presentations will result more visually-appealing than the ordinary themes available by default in Microsoft PowerPoint and it means a step forward to make effective presentations. SlideModel.com comes as handy either for business executives to prepare a pitch deck, a compelling marketing or strategy plan, but also for students or teachers requiring to make presentations for their lessons or present an MBA essay with attractive business diagrams.